The executive director of the SLMA, James Obermayer will report from the expo floor. It will be noisy, it will be opinionated, it will be interesting to hear what attendees and exhibitors think of Salesforce’s Global Gathering. Tune in LIVE at 5 on Thursday, September 1. You never know who we'll run into and what they might say. After the show runs, we'll make a list of all of the people we interviewed. Hope you can join us. Stu Heinecke, President of Cartoonlink. THE SLMA will ask how humor can be used to generate quality leads and sales. A prominent cartoonist whose work can be seen in marketing campaigns and in the pages of The Wall Street Journal and other publications, Mr. Heinecke is the President and Founder of CartoonLink (CartoonLink.com), a service that helps marketers apply the powerful effects of cartoons in their campaigns. 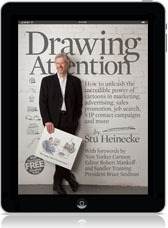 Drawing Attention author Stu Heinecke is one of the world’s foremost experts on the use of cartoons in advertising, marketing and sales promotion, will be a contributing editor for the SLMA specializing in cartoon humor. His work will appear twice a month on the SLMA home page and in the SLMA newsletter. In his book, Mr. Heinecke asserts that the lessons learned from countless marketing campaigns about the application of cartoons can be applied to all sorts of missions, personal or professional. An e-version of his book is available for purchase on the CartoonLink site. Bill Goldsmith, the new Director of Video Production at SLMA will be asked about video as a lead and sales generation vehicle. Bill Goldsmith is CEO of Bill Goldsmith Productions a 20 year old video consulting & production firm. Goldsmith is an award winning producer of B to B video, and most recently was awarded the title of “The National Talk Fusion Coach”, and Gold Diamond Executive with Talk Fusion, a Video delivery platform that he is a partner in. As well, he currently acts as the Director of Video Production for the Sales Lead Management Association. 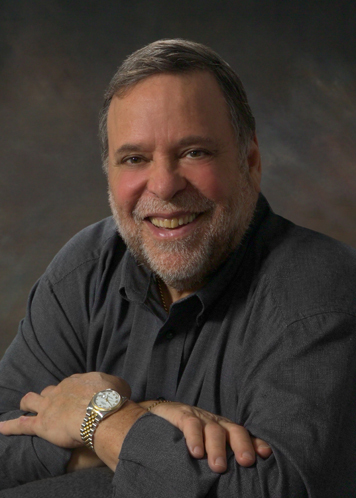 Goldsmith established himself as a Video Producer when he was selected as one of the Agencies of record for McDonald's Corporation where he was responsible for the development of “Kid” merchandising and video marketing, and later for the development of the Campaign theme and subsequent video and merchandising initiative for The Big Mac. Bill resides in Philadelphia with his wife Nancy and two Welsch Pembroke Corgis, Feather and Invictus. They no longer can stand the taste of The Big Mac and prefer to cook their own meals. 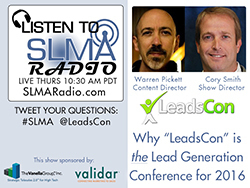 SLMA Radio host Will Crist will ask Matthew about trends he sees in the sales lead management industry. He will ask about what’s working and what’s not working! Matthew Schwartz , has been editor of Follow the Lead since its 2009 launch. He is also a contributing reporter for Crain’s BtoB and BtoB’s Media Business magazines, where he covers business media, marketing/advertising and, naturally, social media. Earlier in his career he was Editor of PR News, where he got an education in corporate communications, and a writer/producer for Fox News Channel and CNN, where he learned to pray at the altar of the deadline. If you have any news, tips and information that you think would be suitable for sales and marketing executives, please give him a holler at matthew.schwartz38@yahoo.com. Will Crist the host will ask how Net-Results tracks individual visitors to a website and “listens” to their needs. He will dig into the value-add for salespeople that are the beneficiary of Net-Results users. He will ask questions about users can be using Net-Results in just 5 minutes. Net-Results was founded in 2003 as a web development and marketing firm. They transitioned to a software company after experiencing success with a web monitoring product we released in 2006. Our marketing automation software evolved from that product through innovation and customer suggestion to become the best software available to manage revenue generation from lead to close.